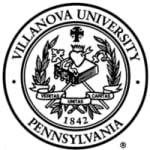 Villanova University, a Roman Catholic university, is located in Villanova, Pennsylvania. The university provides a wide variety of undergraduate and graduate degree programs. Its academic experience is rooted in the liberal arts. Villanova has more than 10,000 undergraduate, graduate, and law students. The university's students have opportunities to study abroad. Villanova University is consistently ranked as a top producer of U.S. Fullbright students among master's institutions by The Chronicle of Higher Education. Students in the honors program attend small discussion-based seminars and receive mentoring from nationally renowned scholars. They're also involved in original research projects. Villanova University reports that through its academic and service programs, students use their knowledge, skills, and compassion to better the world around them. The university is known for its participation in Habitat of Humanity. The annual Special Olympics Fall Festival at Villanova University is the world's largest and most successful Special Olympics operated by students.